Bassel was a relentless advocate for free speech, free culture, and democracy. He was the cofounder of Syria’s first hackerspace, Aiki Lab, Creative Commons’ Syrian project lead, and a prolific open source contributor, from Firefox to Wikipedia. Bassel’s final project, relaunched as #NEWPALMYRA, entailed building free and open 3D models of the ancient Syrian city of Palmyra. In his work as a computer engineer, educator, artist, musician, cultural heritage researcher, and thought leader, Bassel modeled a more open world, impacting lives globally. To honor that legacy, the Bassel Khartabil Free Culture Fellowship will support outstanding individuals developing the culture of their communities under adverse circumstances. The Fellowship — organized by Creative Commons, Mozilla, the Wikimedia Foundation, the Jimmy Wales Foundation, #NEWPALMAYRA, and others — will launch with a three-year commitment to promote values like open culture, radical sharing, free knowledge, remix, collaboration, courage, optimism, and humanity. As part of this new initiative, fellows can work in a range of mediums, from art and music to software and community building. All projects will catalyze free culture, particularly in societies vulnerable to attacks on freedom of expression and free access to knowledge. Special consideration will be given to applicants operating within closed societies and in developing economies where other forms of support are scarce. Applications from the Levant and wider MENA region are greatly encouraged. Throughout their fellowship term, chosen fellows will receive a stipend, mentorship from affiliate organizations, skill development, project promotion, and fundraising support from the partner network. Fellows will be chosen by a selection committee composed of representatives of the partner organizations. Organizational Partners include Creative Commons, #FREEBASSEL, Wikimedia Foundation, GlobalVoices, Mozilla, #NEWPALMYRA, YallaStartup, the Jimmy Wales Foundation, and SMEX. Amazon Web Services is a supporting partner. The Fellowships are based on one-year terms, which are eligible for renewal. The benefits are designed to allow for flexibility and stability both for Fellows and their families. The standard fellowship offers a stipend of $50,000 USD, paid in 10 monthly installments. Fellows are responsible for remitting all applicable taxes as required. To help offset cost of living, the fellowship also provides supplements for childcare and health insurance, and may provide support for project funding on a case-by-case basis. The fellowship also covers the cost of required travel for fellowship activities. The first fellowship will be awarded in April 2018. Applications will be accepted beginning February 2018. Special consideration will be given to applicants operating under oppressive conditions, within closed societies, in developing economies where other forms of support are scarce, and in the Levant and wider MENA regions. 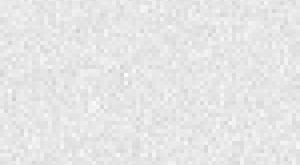 Any code, content or other materials produced must be published and released as free, openly licensed and/or open-source. Applicants whose projects are chosen to advance to the next stage in the evaluation process may be asked to provide additional information, including personal references and documentation verifying income. 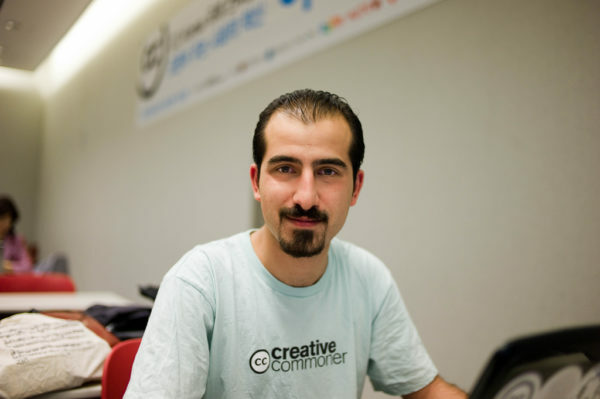 Bassel Khartabil, a Palestinian-Syrian computer engineer, educator, artist, musician, cultural heritage researcher and thought leader, was a central figure in the global free culture movement, connecting and promoting Syria’s emerging tech community as it existed before the country was ransacked by civil war. Bassel co-founded Syria’s first hackerspace, Aiki Lab, in Damascus in 2010. He was the Syrian lead for Creative Commons as well as a contributor to Mozilla’s Firefox browser and the Red Hat Fedora Linux operating system. His research into preserving Syrian archeology with computer 3D modeling was a seminal precursor to current practices in digital cultural heritage preservation — this work was relaunched as the #NEWPALMYRA project in 2015. Bassel’s influence went beyond Syria. He was a key attendee at the Middle East’s bloggers conferences and played a vital role in the negotiations in Doha in 2010 that led to a common language for discussing fair use and copyright across the Arab-speaking world. Software platforms he developed, such as the open-source Aiki Framework for collaborative web development, still power high-traffic web sites today, including Open Clip Art and the Open Font Library. His passion and efforts inspired a new community of coders and artists to take up his cause and further his legacy, and resulted in the offer of a research position in MIT Media Lab’s Center for Civic Media; his listing in Foreign Policy’s 2012 list of Top Global Thinkers; and the award of Index on Censorship’s 2013 Digital Freedom Award. Bassel was taken from the streets in March of 2012 in a military arrest and interrogated and tortured in secret in a facility controlled by Syria’s General Intelligence Directorate. After a worldwide campaign by international human rights groups, together with Bassel’s many colleagues in the open internet and free culture communities, he was moved to Adra’s civilian prison, where he was able to communicate with his family and friends. His detention was ruled unlawful by the United Nations Working Group on Arbitrary Detention, and condemned by international organizations such as Creative Commons, Amnesty International, Human Rights Watch, the Electronic Frontier Foundation, and the Jimmy Wales Foundation. Despite the international outrage at his treatment and calls for his release, in October of 2015 he was moved to an undisclosed location and executed shortly thereafter — a fact that was kept secret by the Syrian regime for nearly two years.